Our daughter Scarlett (age 1) LOVES this show! I can always be sure that once I hit play, the next 26-28 minutes are going to be my little slice of heaven for the day. Between the cute characters, awesome textures and bright colors she can’t keep her eyes off these little creatures. “Bubble Guppies” takes the phrase “school of fish” literally as fish-tailed preschoolers attend school in an underwater classroom. Children learn about topics such as science, math and literacy through original music. Among the characters featured on the show are turbocharged Gil, leader Molly and drama queen Deema. Click here to watch an episode on Amazon! Wally Trollman is an adventurous 6-year-old troll with a power that lets him make words come to life using a magic stick. Wally uses those words to transform the world around him by creating objects that start with the same letter as the first letter in the word he has animated — such as creating a castle and catapult out of words that begin with C. Wally uses his magic for more than fun, though; he uses it to solve problems, help friends, and overcome the antics of resident troublemaker Bobgoblin. But the young troll must be careful because his magic stick sometimes creates unexpected results that can make the entire forest go dark or send his house galloping away. Going with Wally on his adventures are pet dragon Norville and friends Gina Giant, Ogre Doug and Libby Light Sprite. 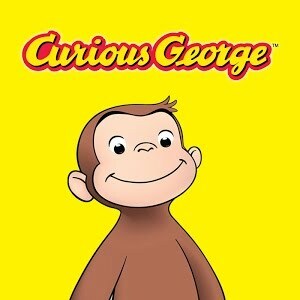 Curious George is a sweet African monkey who can’t help but run into trouble. George’s friend, “The Man in the Yellow Hat,” tries very hard to care for George and is always saving the day. The show’s themes are about learning, forgiveness and playful curiosity. Who ever knew monsters could be so cute?! This is another one of those shows that my daughter can’t take her eyes off of. The characters are uber cute and their accents are awesome. Follow a spirited five-year-old named Henry Hugglemonster, middle child in a family of monsters. Four fairytale friends go on magical adventures and become reading-powered superheroes. The characters live in Storybook Village, which is accessible through a panel that is represented by an invisible questionmark. Preschool children follow the Super Readers as they jump into books that come to life. Comment & share your kids favorite TV shows and movies!